Have questions? We're here to help you! There are 4 easy ways. 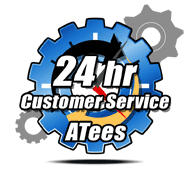 Call us 24 hours Monday to Saturday. Sunday calls are available intermittently. You may also leave a message with your name and number (with area code) and our Customer Loyalty Team will call you back as soon as possible..
We look forward to helping you with your inquiry. We respond to email messages in the order that they are received, and we will respond to your email as quickly as possible. Email our Customer Loyalty Team. We reply daily, 24/7. Do you Whatsapp? Contact us conveniently on your smartphone via Whatsapp. Add our Whatsapp account number: +852 6352 8287 (we cannot answer calls to this number). You'll be able to see our last online time. If we can't reply you immediately, leave us a message. We'll get back to you quickly. We are available 24 hours Monday to Saturday, Sundays intermittently. We are available for live-chat 24 hours Monday to Saturday, Sundays we are available intermittently. The chat box appears on the bottom right corner of your screen. If we are unable to answer your message immediately, please leave us your message together with an email address and our representative will contact you shortly.